JNUEE is a university level entrance exam which will be conducted by the NTA from 2019. 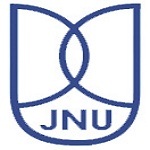 Jawaharlal Nehru University conducted every year Jawaharlal Nehru University Entrance Exam (JNUEE). The university offers the UG, PG and Ph.D courses in various professional fields. Admission will be offered into the university only on the basis of the written examination. In this article candidates can get the complete information related to the JNU 2019 admission procedure. The candidates will be invited for the counselling on the basis of their performance in the written exam. The university releases the merit list of the candidates those are selected for the viva-voce. The viva-voce is conducted only for few courses. Candidates can download the token number generated by the university in order to participate in the counselling. Candidates those attend the counselling will be only allotted the seats. After a few days of the declaration of result, the counselling procedure is started by the university. JNU Cut off 2019 for various courses will be released in the month of July 2019. The cut-off is the minimum marks obtained by the candidates in the JNU Entrance Exam for the PG courses. It is necessary to bring the original documents on the counselling center. The university releases the category-wise merit list of the qualified candidates. If seat remain vacant in any of the disciplines, then the wait list is generated by the university. If a candidate not appear in the viva-voce, then their admission will be cancelled. Candidates have to report for the counselling/admission on given date and time. In below given table, we have mentioned the schedule for some programmes offered by the university. Candidates can follow the schedule as per the course opted. After the declaration of result, the university release the merit list for the candidates those are selected for the viva-voce (for some courses). On the basis of merit list, candidates are called for the document verification process. After the viva-voce, university again release the merit list of containing the names of candidates those will be selected for the admission on the basis of viva-voce round. The list of selected candidates published through the website or notice board of the Administrative Blocks. Marks of the viva-voce will be added to the marks obtained by the candidates in the written test. Candidates have to register on the official website by filing the pre-allotment form in which they have to fill their choice preference. Candidates can report the University for Document Verification Process to get final admission. After verification of all the required original documents, the candidates will be allotted the seat in opted courses. Matric & Intermediate Mark Sheets. 12 colored passport size Photograph. If you have any other queries about JNU 2019 Admission Procedure, you can write your queries in the comment box given below. I am pursuing my bsc . It will get my dmc in july. So is there any neccessity of dmc during admission? And am doing bsc in physics can i get admission in ma/msc geography. It says admission to PhD will begin in July 2019. For that does anyone know when the entrance exams would begin? When will undergraduate application form begin? Plz tell me. When will be the pg application form begin? When application form for p.hd mathematics will start. When is the application form opening for M.sc Biotechnology??? Sir could you tell me when the pg admissions for 2019 will start. WE will inform you when it will be started. can u please tell me when will the application form of 2019-20 for Mphil in political geography be started? Iwant to apply for PhD school of social sciences.when will be the notification released. The dates are not announced yet. Sir, I want to take admision in m.phil. please tell me the all information about this with fee. Thank you. What is the comokprocess for admission in p.g English lit.? sir, i’m not able to find (MBA-FPS) Fire Protection Service course .please tell me the official link. waiting for your needful response. im fresher pass student of Punjab meritorius school bathinda.i got 94 % in non medical .i want to get admission in this world class university .please guide me how to get admission ……..
What is the procedure for seat locking. After being selected I am trying to lock my seat but there is no link in website for this. Sir, jnu ke language courses ke form kb se fill krne honge or procedure kya hoga? I gave my 12th in externals. So i filled “Distance mode” on the form. Will it be okay, supposed I get through the exam?